It’s been a great Summer, not only because of the beautiful North Idaho weather but also because we’ve completed some GREAT homes! 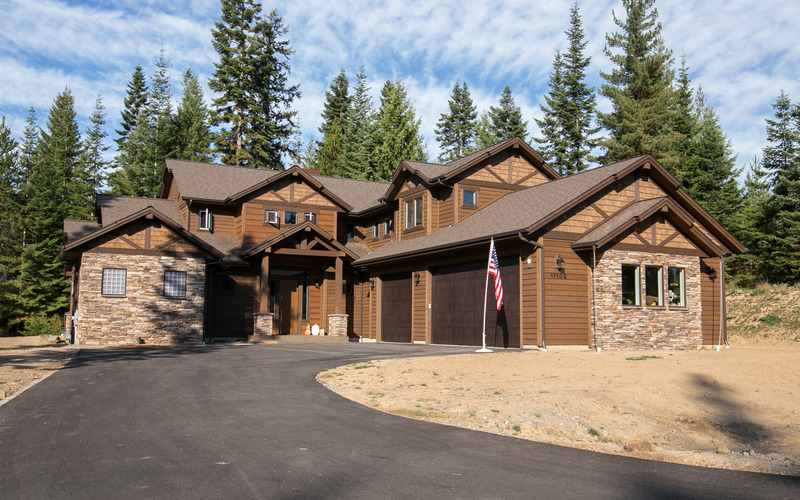 As a North Idaho Custom Home Builder, we wanted to share the top 3 homes we’ve completed this Summer and Fall. Each home has its own unique design style which shows off our ability to taylor any home style to the clients every need. Also all three were built in our exclusive The Falls at Hayden Lake community. Expect to see more photos from these three stunning homes in the next month! This boulder ridge home was completed in mid September 2014, and no detail was left out. This stunning 4,133 sq ft two-story custom brings an English Tutor exterior with an Craftsman / Modern interior. Boasting a massive 24′ tall vaulted ceiling in the great room that opens up to the second floor, it also hosts a full wall of windows to the back yard that helps illuminate the entire main area of the home with natural light. 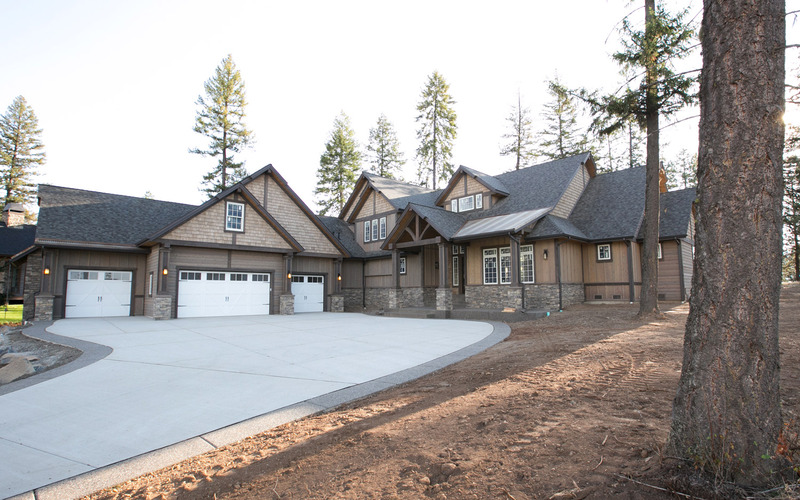 Completed in September of 2014, this North Idaho Rustic Craftsman home is a slice of heaven in the woods. With 2,936 sq ft of livable space, the custom Aspen View floor plan features 3 bedrooms and 3.5 baths. With two master suites on the upper level and the master bedroom on the main, no one will be left waiting for their turn in the bathroom. Looking to entertain? Not a problem in this home with a massive covered patio reaching both ends of the rear main floor. Looking for something different? This custom multnomah floor plan completed in the beginning of October 2014 has it all. With a Farm House / Cape Cod design style inside and out, every space puts you in awe of the intense detail put into this home. Hardwood floors reach through the entire main level with 10′ high ceilings and 8′ doors helping every room feels grand in scale. Covering almost 5,000 sq ft there is ample room for entertaining guests through all four season of beautiful North Idaho. WE ARE NEVER TOO BUSY! Like what you see? Wanting to start your new dream home in North Idaho? Look no further! We would be honored to be given the opportunity to meet with and show you the Aspen Difference. No home is too small, no dream too big! Fill out the form by clicking the link below or call us directly. Because as at Aspen Homes, we believe you should Love Coming Home!